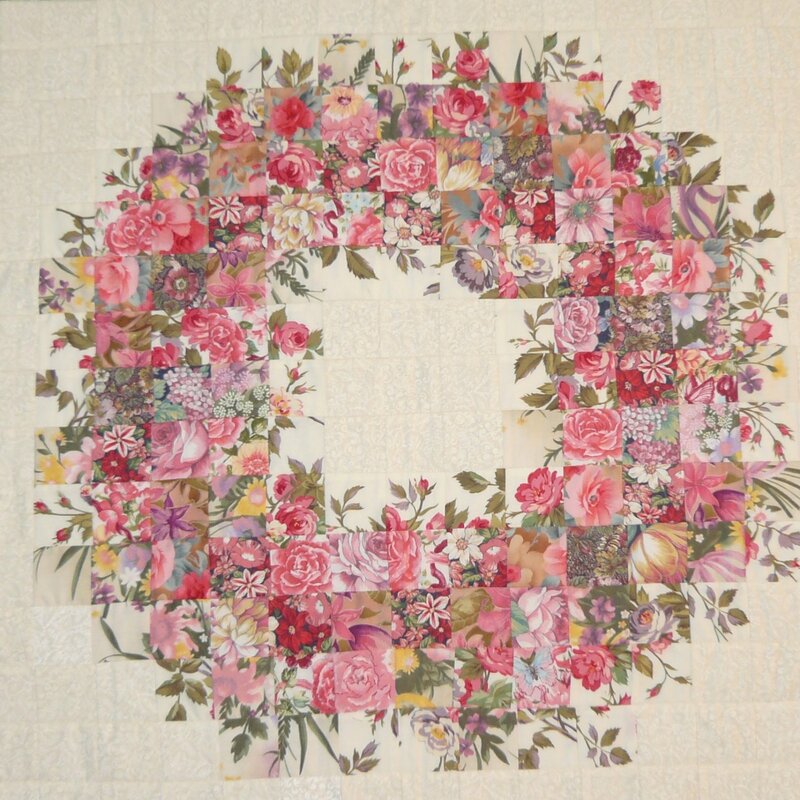 Come join Susan Arrow for a joyous spring class to bring your fabric flowers to create a beautiful spring wreath. You will fall in love with flowers early this year when you create this floral wall hanging. Add color and joy to any room. Simple to make once you have collected your floral fabric. This is a fussy cut quilt project. Select either a light or a dark background for the best result. Finished size is 24 x 24. Sewing machine is used for the last hour of class. Our main focus in class is the design element. You will need a 1/4" piecing foot for this class. Kit Fee: $15 payable to Susan on the day of the class. Machine Requirements: Sewing machine must be in good working condition. Students must be knowledgeable about their machines.